Visiting a park? Know the rules before you go! Summer is an active time in downtown Golden, with visitors and residents enjoying all the amenities of our city. The many parks and trails, and especially the Clear Creek corridor, get very busy during the warm months. If you’re planning a trip to one our parks or the Creek, it’s a good idea to know the rules before you go! 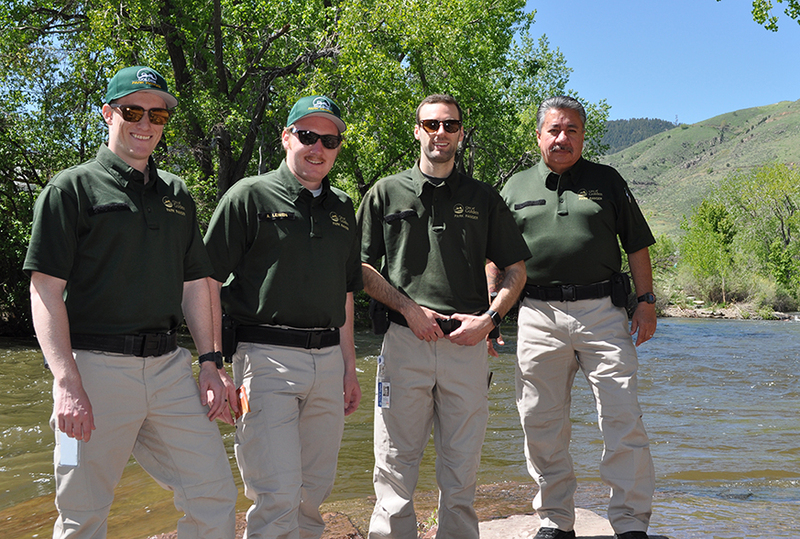 The Park Rangers are ambassadors to the parks and trails along Clear Creek and to help residents and visitors feel welcome and safe. Park Rangers can answer questions, give directions and help visitors understand the park rules. Park Rangers are also equipped to enforce the rules if they encounter visitors who choose to not comply with park rules and parking regulations. Park Hours – 5 a.m. – 11 p.m. Unless otherwise posted, outdoor parks are open to the public between the hours of 5 a.m. and 11 p.m. All trails, however, remain open 24 hours a day to pedestrian and bicycle traffic. Overnight camping is prohibited except with a permit in the designated areas of the Clear Creek Recreational Vehicle Park. Visit the Clear Creek RV Park page for reservations and more information about their services. 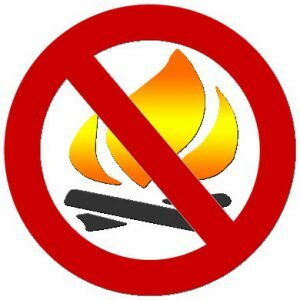 It is prohibited for any person to make, or allow to burn, a fire, including a charcoal fire, within any park EXCEPT in park-provided, operative grills. Use of a portable propane camp stove is permitted if the stove’s propane tank has a capacity of two pounds or less. Any fires must be completely extinguished before leaving the park. Bonfires are prohibited in ALL parks. It is prohibited for any person to possess, consume or distribute any alcoholic beverages within any park, except with the written approval of the City Manager by means of a Special Event or Open Container Permit (see a our Facilities and Use Rentals page for a list of pavilions available for rent that also allow application for an Open Container Permit with the rental). Glass containers are prohibited AT ALL TIMES. Smoking, vaping and the use of electronic smoking devices is not permitted in any parks or recreation facilities. The use of marijuana is also prohibited in public spaces. 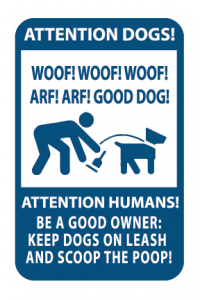 Dogs must be on leashes at all times within any city park or trail. It is prohibited for any animal owner to allow an animal to run at large. See our City Dog Parks for a place your four-legged friend can run free! There’s no such thing as a Poop Fairy! A person having charge of an animal will immediately remove any excrement left by the animal and dispose of it in a pet waste station, or in another lawful and sanitary manner. Trees must be protected with padding prior to the installation of the anchor lines. Anchor lines may not be attached to signs, fencing, light poles, playground equipment, or an other park structures. Tree trunks must be at least one foot in diameter. Anchor points cannot be damaged or altered in order to secure an anchor. Slacklines and ground must be level and parallel to each other. Slacklines may not exceed 100 feet in length, and may not exceed an elevation of more than 4 feet at the center of the span. Equipment may not be left unattended and, if not in use, must be immediately taken down. Slacklines must not interfere with other park activities, nor cross any sidewalks, waterways, bridges, or any other rights-of-way, and are prohibited upon any trail. Slacklines cannot cross each other. City personnel, as deemed necessary, may order the removal of a slackline at any time. It is prohibited for any person to locate, use or bring any of the following goods or articles, which include, but are not limited to: benches, lawn chairs, fire pits, grills, portable outdoor fireplaces, cots, furniture, slides, bicycles and coolers, radio controlled boats (and any other similar object), within Clear Creek and upon the banks of Clear Creek. A complete list of park rules are detailed in Ordinance No. 2046, adopted January 2017.